Home / ASSET MANAGEMENT / WHY CHOOSE US? We are an established Illinois licensed brokerage firm and have specialized in professional property management for more than 30 years. Property owners choose Christone Enterprises for the security of knowing we only place quality tenants in their properties. Our proprietary online advertising and extensive network of real-estate professionals ensure our owners always have demand for their vacant properties. Property owners know their investment is in good hands, even if our clients are halfway around the world. It is this peace of mind that Christone Enterprises has provided clients since 1988. Our business model is based upon providing a hassle-free and superior living experience for tenants while delivering specially designed services to our owner-investor clients. We take the stress and worries out of being a landlord while creating maximum value for our property owners. The services we provide are driven by the business goals of our clients and are constantly evolving. In fact, the only element of our environment that remains constant is the reality of change. For this reason, Christone Enterprises uses the most technologically advanced property management platform available. This proprietary End-to-End integration allows us to achieve greater operational efficiently while also reducing manual and paper based processing. Our entire agency utilizes one single system for flexibility, integration and ease of use. This allows us to provide unparalleled service to our property owner clients and tenants. Christone Enterprises understands that a rewarding rental experience begins with placing the right tenants. This is why we perform in-depth screening for every tenant to include full credit and criminal background check, prior landlord reference as well as income verification to ensure qualified and responsible residents. Our attorney-approved leases require tenants to return properties to us in the same condition as when they moved in, providing strong protection for our agency and homeowners. Tenants know what to expect when they move in, and know what we expect when they move out. Because our industry is based on a high volume of transactions, it is very complex and competitive. Managing relationships between owners and tenants requires our agency to act quickly and provide accurate information on demand, in a real-time environment. Our accounting department oversees all financial transactions between property owners, tenants and vendors while providing comprehensive, detailed financial reporting and full cost analysis statements. We offer the quickest fund processing in the industry via ACH electronic transfer directly to your account. Our in-house maintenance company, ELM Construction, is qualified to handle your property’s routine and emergency maintenance 24 hours a day. Our professional and reasonably-priced service team gets the job done right. Christone’s network of professional subcontractors can effectively handle any major projects and we also provide in-house financing for when larger maintenance issues pop-up. From a new faucet to a new roof, Christone can handle it. We understand your property is an investment and remain committed to protecting its value through proper maintenance. Nobody likes surprises when it comes to household breakdowns and big expenses… but breakdowns are inevitable. Our exclusive Home Protection Plan puts a plan in place to provide protection for your property and protect clients from unexpected repair or replacement costs. Christone Enterprises will repair or replace any appliance or integrated system in your property for one low deductible. We also offer a Preventative Maintenance Program which is a great way to extend the life of your property’s appliances and major systems. Air conditioning and furnace services are completed by HVAC Certified Christone service professionals. Please contact us for additional information regarding these voluntary programs. We cover the entire Metro-East area with a proprietary, broad-range of advertising to maximize exposure and present your property to the largest available rental market. As the majority of our tenants and property owners are military, we ensure our listings with military-affiliated sources are current and accurate. Coverage continues with aggressive, online advertising and consistent referrals of quality tenants from our network of licensed real-estate sales agents. By constantly evaluating current market conditions, we make sure your property rents at its highest value and in the shortest amount of time. We simplify tax preparation by providing the expenses required to complete your Schedule E. Advertising, maintenance, management fees, repairs and utility costs can be provided to you at year’s end as part of our service to you. Christone Enterprises is also willing to review your property taxes and help initiate a protest, if appropriate. We’re by your side when the Tax Man Cometh. 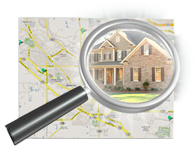 Use our advanced search to find the perfect place to live. Christone Enterprises, Inc. is an Equal Opportunity Employer and supports the Fair Housing Act.